As simple as it sounds, for those who can’t get even 5 minutes to themselves – this is for you! Upon waking or going to sleep (or any time), take 5 long deep breaths and really focus on them. Notice how they make you feel and ignore everything else, by the time you’ve finished you’ll want to carry on even longer, so if you can, do so! We all know in this techno-overload world taking time to avoid screens feels like a challenge, so challenge yourself to read a book (or do something away from a screen) - perfect for an evening wind-down after a long day at work. 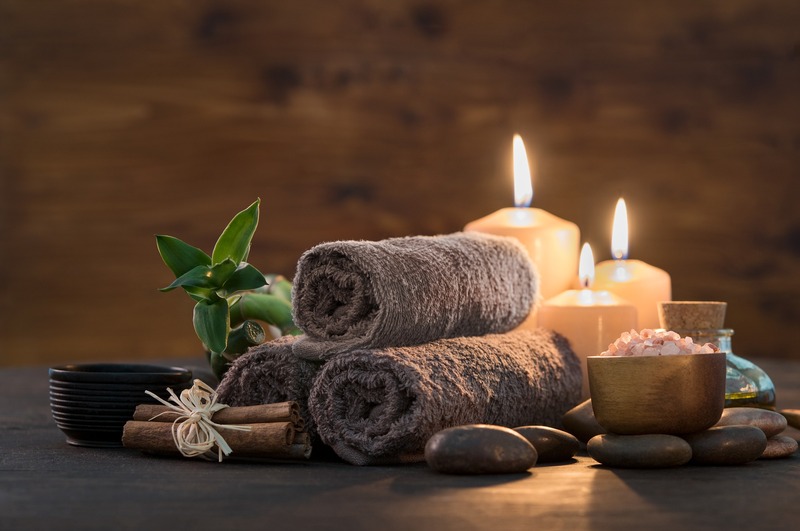 Taking a bath for many of us time-poor folk is a luxury but maybe you can commit to a mid-week mini-spa session to help relax and soothe any frayed nerves or to simply enjoy a bit of peace and quiet. Putting your favourite music on, dropping some essential oils and bath salts in, and away you go. Alongside our technology habit, there can also sometimes be a lack of getting outdoors for many of us. So, go get out there, whether that’s a short walk outside during your lunch break, a longer walk on a weekend with the family or pets, or better yet – take your workouts outside too! Meditation and mindfulness has quickly become a hot topic, and quite rightfully so! Mindfulness helps you to notice if/when you’re stressed out and by noticing it you can take steps to avoid it, and one of those steps is meditation. Meditation can range from 5 minutes to 60 (or longer!) so it’s totally up to you to decide how long, where and when. And you don’t have to sit in the traditional pose – lie down, sit down – in any way you feel comfortable, close your eyes and meditate. ...or any other form of exercise you find enjoyable! Exercising releases endorphins (aka "feel good" hormones) which makes you feel happier and that's why it's so often recommended as a great way to de-stress. Yoga and Pilates are great ways to unwind, and simple to do at home - find a video, grab a mat and off you go! Writer's Bio - Katie is our Marketing Executive by day but by night she's better known as a Yoga Teacher. Katie fell in love with yoga only after working for MAD-HQ and wondering what this 'yoga' was all about - after her first class there was no looking back. You'll now find her either on her mat, meditating or happily cured up reading a good book with her pet cat.